Build a multi-project timeline directly from Project Online in OnePager Pro. Project Online is Microsoft's newest way to manage multiple project plans in the cloud. OnePager Pro works with Project Online to help you build timelines for one or multiple projects, giving you the reports that Project Online doesn't offer out of the box. 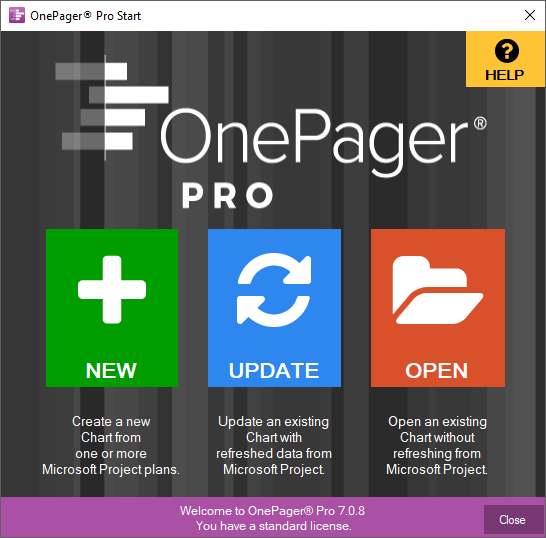 OnePager Pro is the only timeline software that connects directly to Project Online. With OnePager, you can import multiple project plans from Project Online and combine them into a single timeline so that your stakeholders get a high-level overview of your entire project portfolio. Sign up for a free trial and try it out today. Launch OnePager Pro. You can either do this from your desktop, or from inside Microsoft Project. This project timeline is powerful because it's based on the project plans that you already have in Project Online. There is no need to hand-draw each task in PowerPoint or to try and splice several Microsoft Project Gantt charts together. Once you are happy with the formatting, export your timeline to PowerPoint or PDF and share with anyone who needs to see it. Build your timeline today by downloading a free trial.